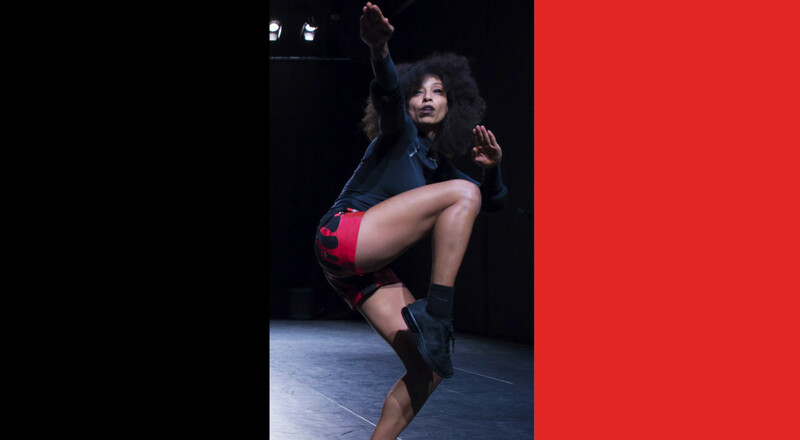 In Minor Matter, a performance for three dancers, two discursive apparatuses are at play: blackness and the black box. Ligia Lewis turns to the color red to materialize thoughts between love and rage. The work unfolds multi-directionally creating a poetics of dissonance from which questions of re-presentation, presentation, abstraction, and the limits of signification emerge. 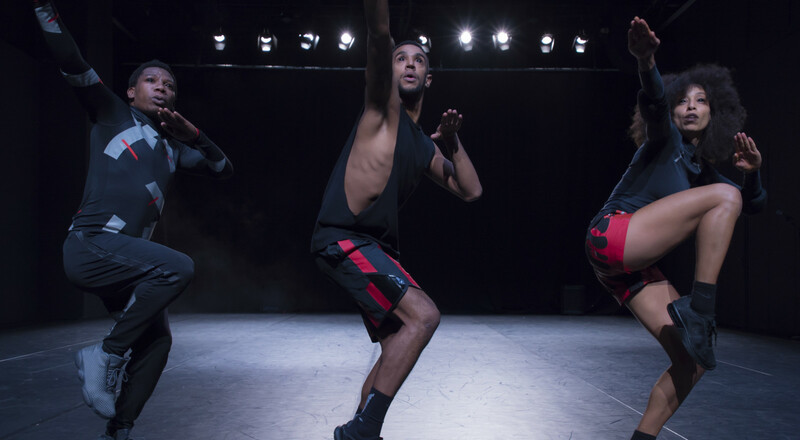 Throughout the choreography the performers push their bodies against the boundaries of the stage while simultaneously illustrating a humble relationship between their bodies and the space that encapsulates it. The performers get exhausted as their bodies strip the stage of its formal mystique to approach its matter: black. In Minor Matter, sound travels across musical epochs to arrive at the poetics of the intimate present. Built on the logic of interdependence, the theatre’s parts — light, sound, image, and architecture — become entangled with the three performers, giving life to a vibrant social and poetic space. Minor Matter is the second part of the trilogy (BLUE, RED, WHITE) performed by three dancers. concept & choreography Ligia Lewis performers Ligia Lewis, Hector Thami Manekehla & Tiran Willemse musical dramaturgy Michal Libera & Ligia Lewis styling Alona Rodeh sound design Jassem Hindi sound engineering Neda Sanai light design Andreas Harder lighting technology Joseph Wegmann dramaturgy Ariel Efraim Ashbel production Ligia Lewis coproduction HAU Hebbel am Ufe production management (tour) HAU Artist Office / Sabine Seifert touring & distribution HAU Hebbel am Ufer / Nicole Schuchardt funded by Berlin Senate Department for Culture and Europe and Fonds Darstellende Künste e.V.. additional support provided by residencies at: FD-13, PACT Zollverein, 8:tension/Life Long Burning & collective address.